Winter Storm Jonas was one for the history books, but the birds at my home weathered the wintry conditions without ruffling their feathers all that much. The storm reminded me of a major blizzard back in 1993 that set me on the path to becoming the enthusiast about birds that I am today. The Blizzard of ’93 — which was dubbed “a storm of the century” — killed more than 300 people and dumped more than 20 inches of snow across a vast swath of the Appalachians and the Northeastern United States. Fierce winds blew snow around into massive drifts. That storm developed on March 12, 1993, and dissipated by March 15, 1993. Photo by Bryan Stevens Snow doesn’t deter a determined downy woodpecker. 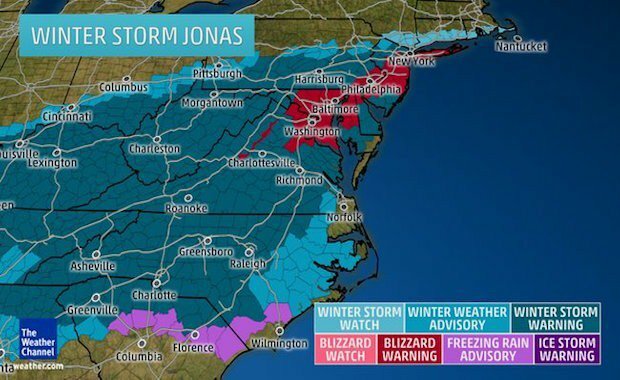 Winter Storm Jonas dumped almost 11 inches of snow at my home, which was considerably less than back in 1993 when about three feet of snow accumulated. I remember the winds being more fierce with the ’93 storm, as well. Fortunately, my electric power never faltered through either of the storm, but my family was quite stranded for several days in 1993. With very little else to do, I watched my feeders. I remember observing birds like cardinals and juncos endured buffeting winds as they flocked to feeders that I had just placed in the yard earlier that winter. 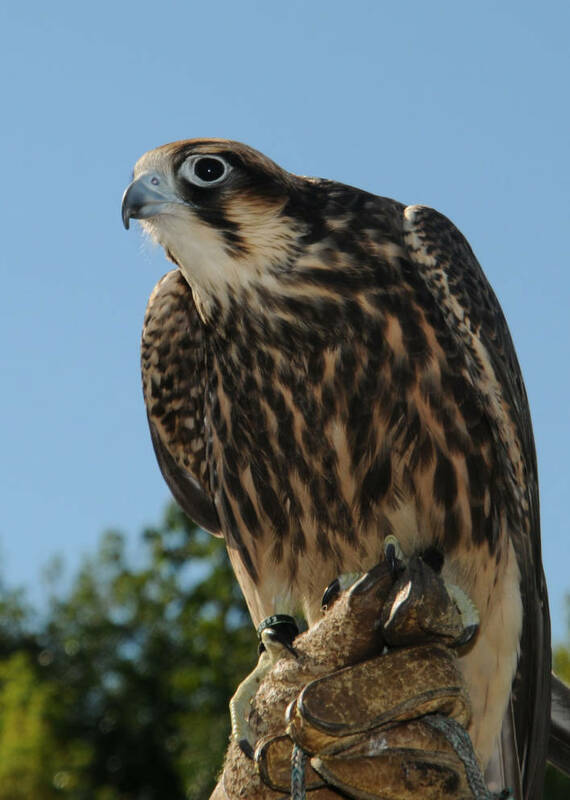 It was the beginning of my desire to learn more about birds, including training myself to identify the various species I encounter at home and afield. 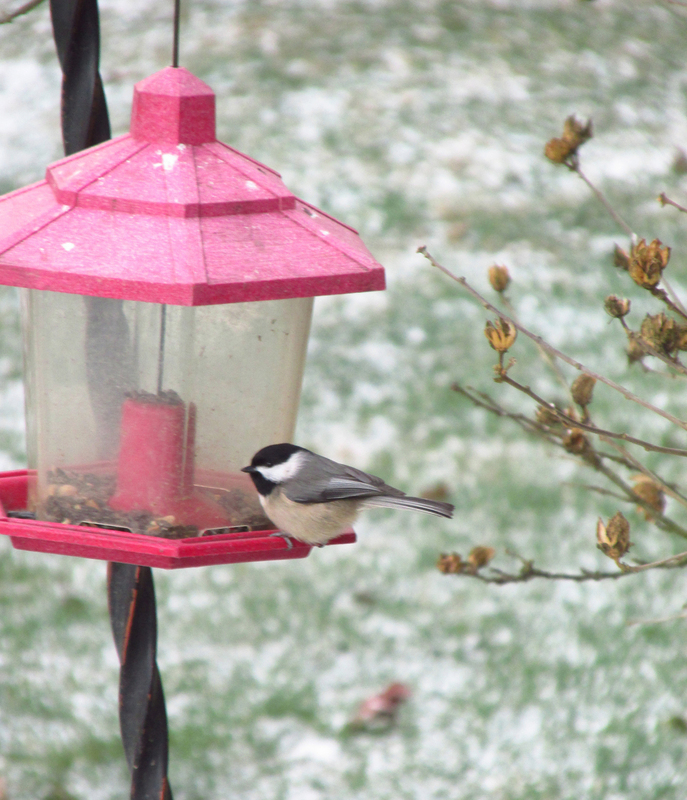 More than 20 years later, the recent Winter Storm Jonas sent a variety of birds flocking to my feeders after what has been a lackluster start to the winter bird-feeding season. 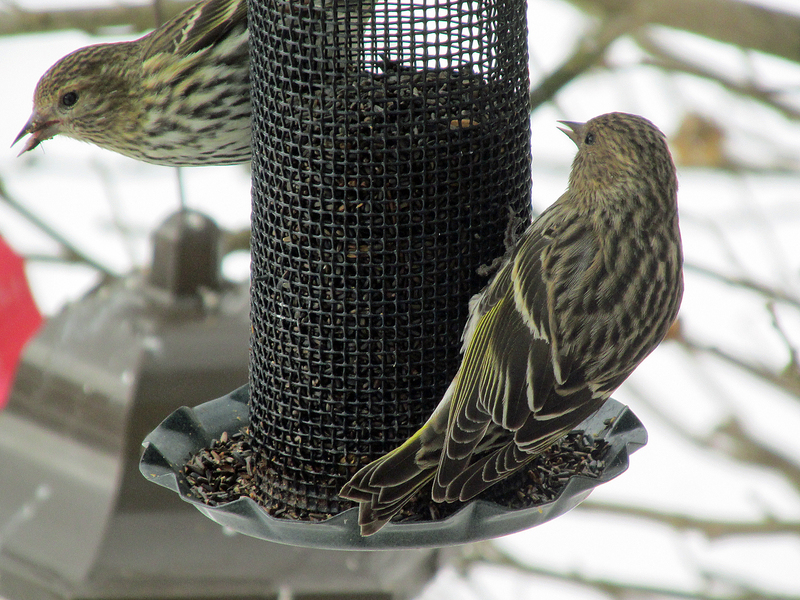 Some unexpected visitors — a male red-winged blackbird, two European starlings and a few purple finches — made their first appearance for the winter. Photo by Bryan Stevens Only the male downy woodpecker sports the red patch of feathers on the back of its head. The most common visitors at the feeders were the dark-eyed juncos. I estimated that about two dozen of these “snow birds” spent most of the storm perched on my feeders or foraging on the ground beneath them. 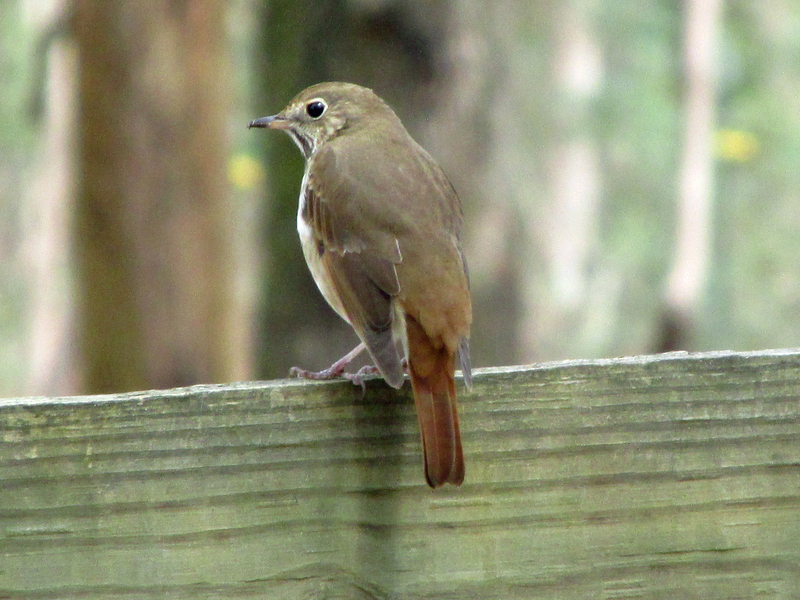 I also observed numerous Northern cardinals, Eastern towhees, American goldfinches, white-breasted nuthatches, Carolina chickadees, white-throated sparrows, song sparrows and more. 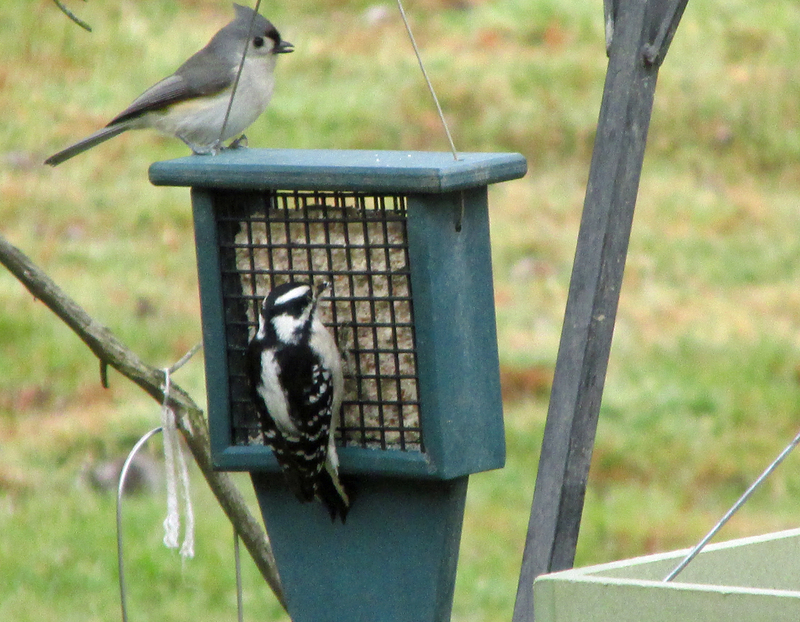 Photo by Bryan Stevens A tufted titmouse and downy woodpecker share space at a suet feeder. 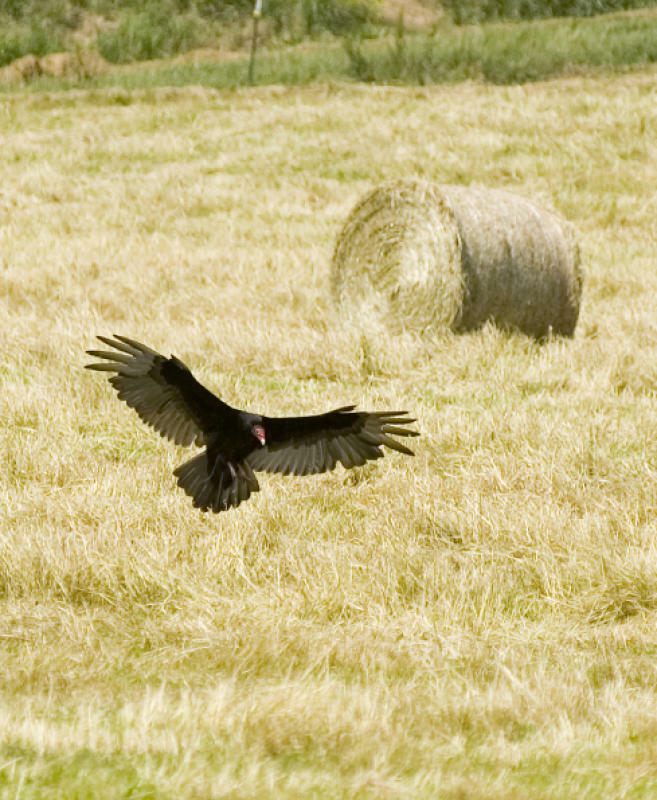 One bird that visited frequently also did so with amazing discretion. The downy woodpecker is a small black-and-white bird that often infiltrates a mixed flock of birds to nab a sunflower seed or grab a bit of suet before the other members of the flock are even aware of its presence. Perhaps because of its status as the smallest of the North American woodpeckers, the downy woodpecker is quite good at not drawing attention to itself. Not only is the downy woodpecker the smallest of the woodpeckers in the United States, it’s also the most common. 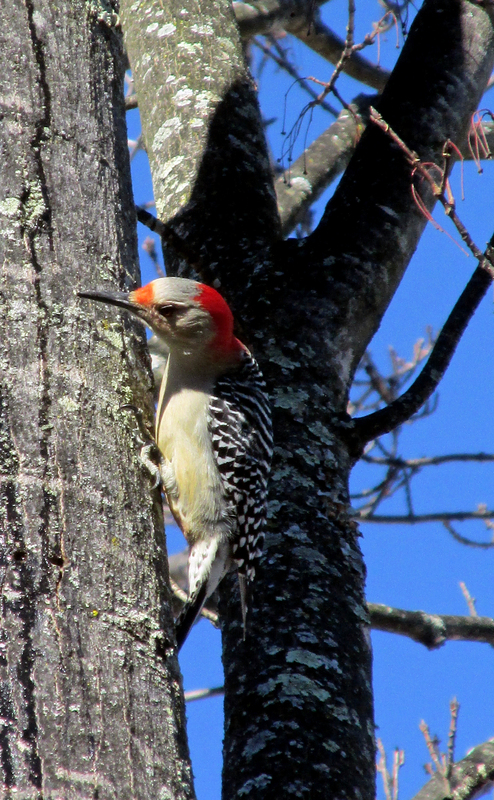 It’s the woodpecker that most bird lovers encounter in the yards and at their feeders. 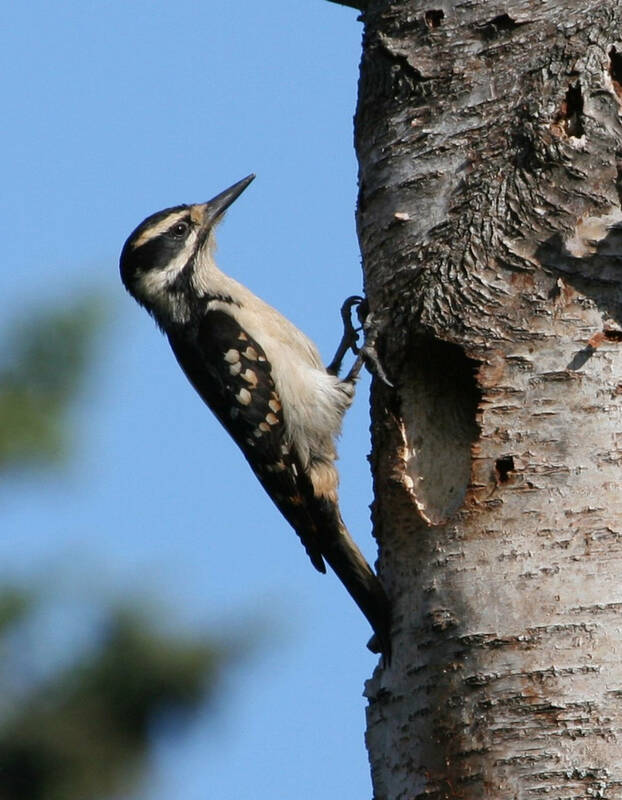 However, the downy is not the smallest woodpecker in the world. That distinction goes to species known as “piculets” that reside in Asia and South America. Worldwide, more than 180 species of woodpeckers thrive almost worldwide, only absent from the continents of Australia and Antarctica. Photo by U.S. Fish & Wildlife Service The hairy woodpecker is a larger look-alike relative of the downy woodpecker. The dainty downy woodpecker has a larger lookalike relative. The hairy woodpecker not only bears a strong resemblance to the downy, but shares similar habitat, as well. 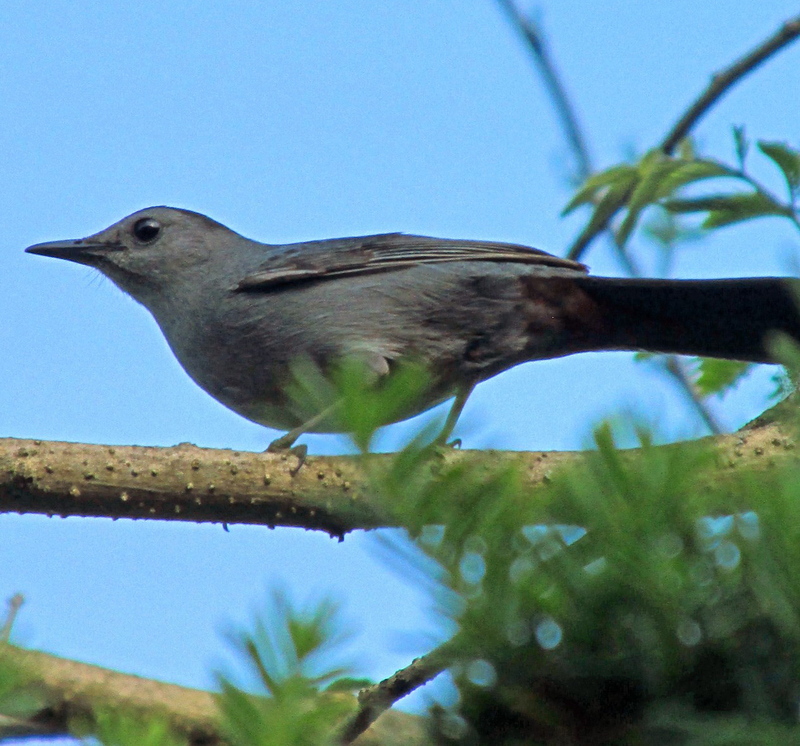 Despite almost identical plumages, the two species are quite different in size. The downy, at six inches in length, is the size of a sparrow. The larger hairy woodpecker almost 10 inches in length, making it closer in size to a robin. As most birders know, size is often difficult to determine, especially if you don’t have a downy and hairy woodpecker in close proximity. 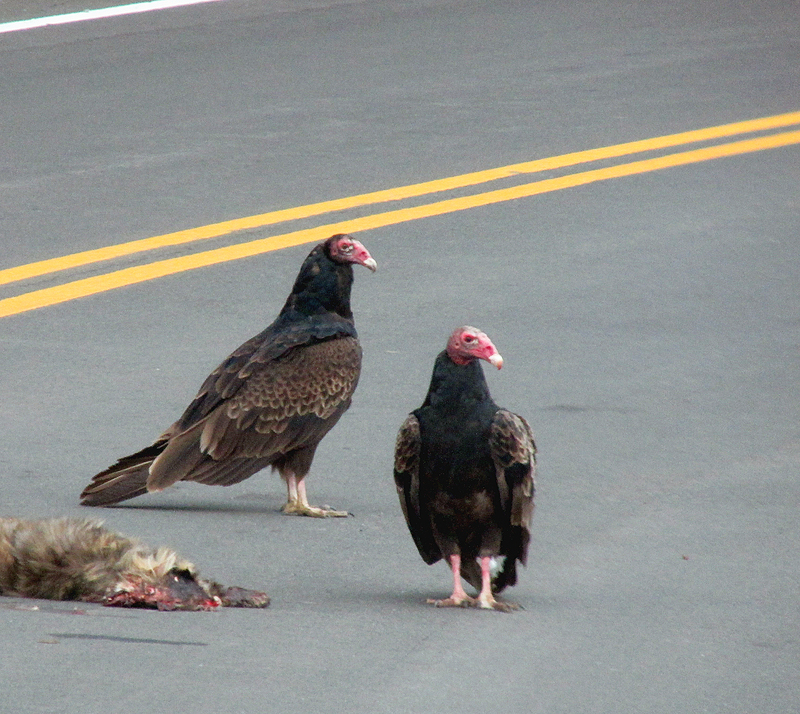 The deciding factor is usually a good look at the beak of these two birds. 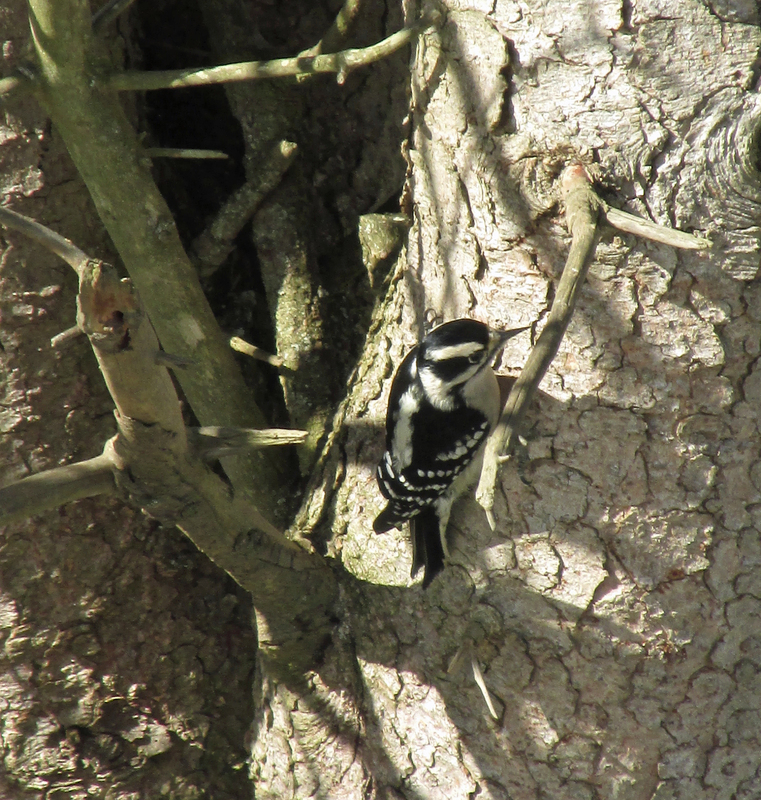 A downy woodpecker has a short, stubby, almost un-woodpecker-like bill. The hairy woodpecker, on the other hand, has a large bill like those of such relatives as red-bellied woodpecker and Northern flicker. Photo by Bryan Stevens A downy woodpecker visits a feeder for a shelled peanut. The downy woodpecker is a cavity-nesting bird, but the species does not usually accept man-made nesting boxes although they often utilize them for roosting purposes. Downy woodpeckers endure frigid nights not only by finding a cozy roosting spot but by also lowering their body temperature. This action is a form of controlled hypothermia that is also practiced by such small birds as chickadees, kinglets and hummingbirds. Downy woodpeckers have a way of hitching themselves along trunks and branches in a jerky fashion. Although not silent by any means, the downy woodpecker limits its utterances to a range of “peents,” as well as a high-pitched jumble of descending notes often described as a “whinny.” Of course, they also make themselves heard by pounding against tree trunks and branches like their larger relatives. Photo by Bryan Stevens Downy woodpeckers are quite comfortable climbing along tree trunks and branches. 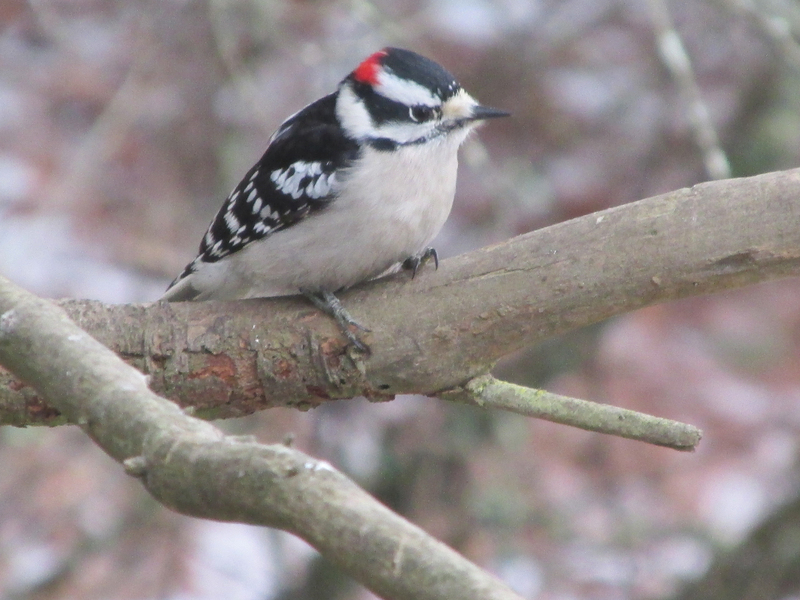 A pair of downy woodpeckers makes a great addition to the diversity of birds in any yard. 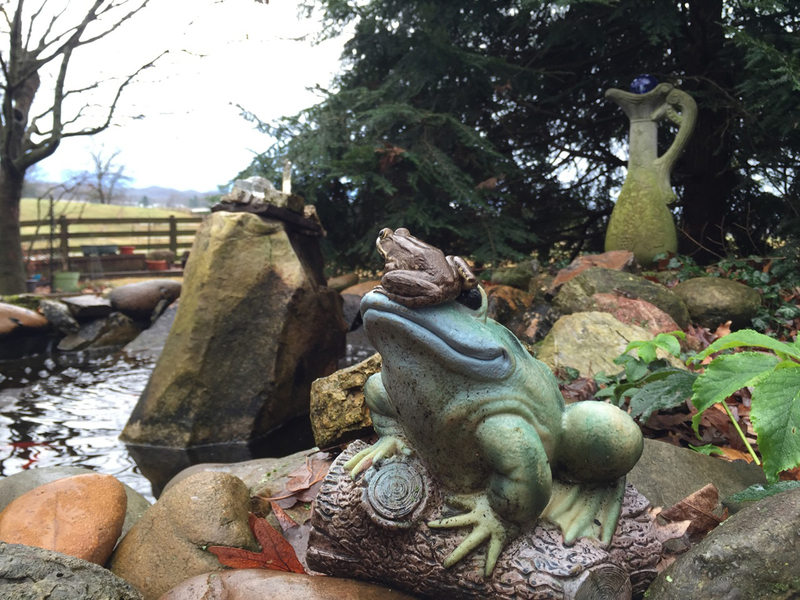 Don’t fret too much about them when the weather turns nasty. Despite their small sizes, they have a huge arsenal of adaptations to deal with the cold. 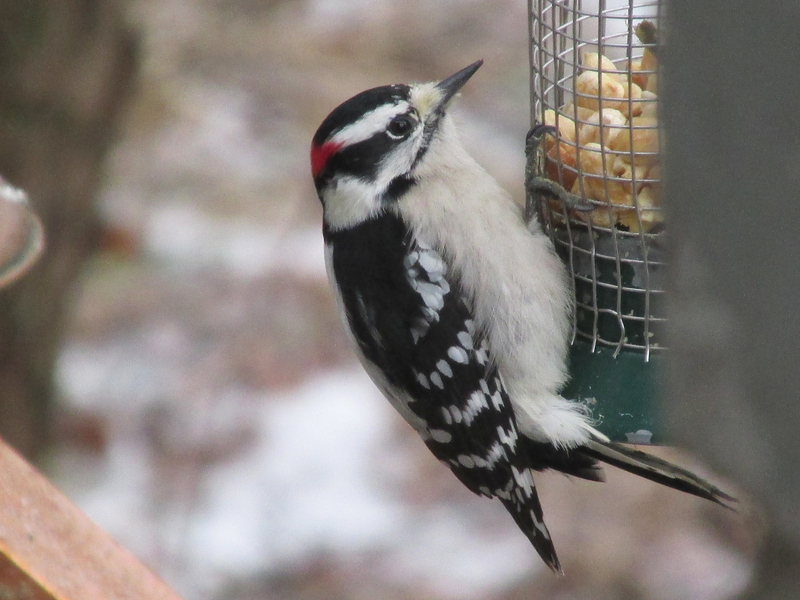 Whether its a modest flurry or the “storm of a century,” the downy woodpecker’s not likely to ruffle many feathers in coping. This entry was posted in Birding, Birds, Downy Woodpecker, Hairy Woodpecker, Woodpeckers and tagged Birding, birds, Bristol Herald Courier, Bryan Stevens, Carter County Compass, Downy Woodpecker, Elizabethton Star, Erwin Record, Feathered Friends, Hairy Woodpecker, McDowell News, Our Fine Feathered Friends, The Erwin Record, Winter birds, Woodpeckers on January 31, 2016 by Bryan Stevens. 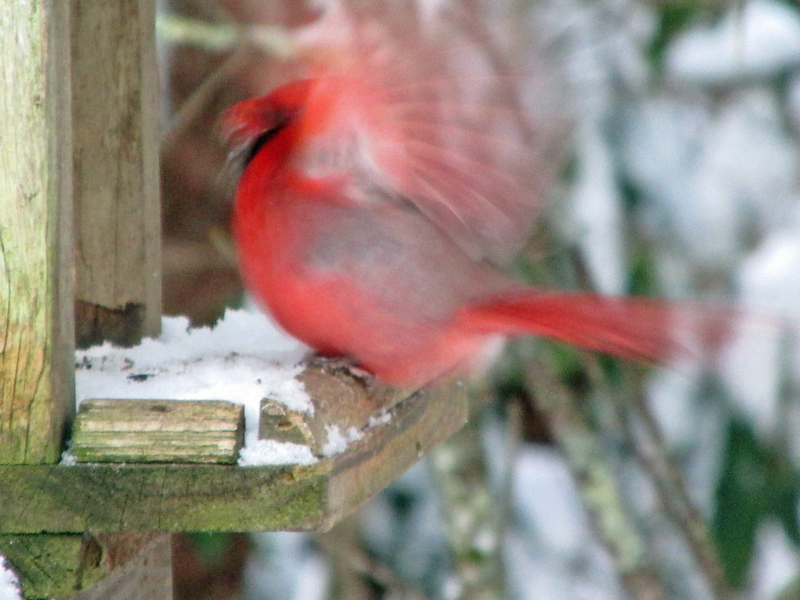 A blur of red feather signals the arrival of a male Northern Cardinal at a feeder. A total of 123 cardinals were found on the recent Elizabethton CBC. 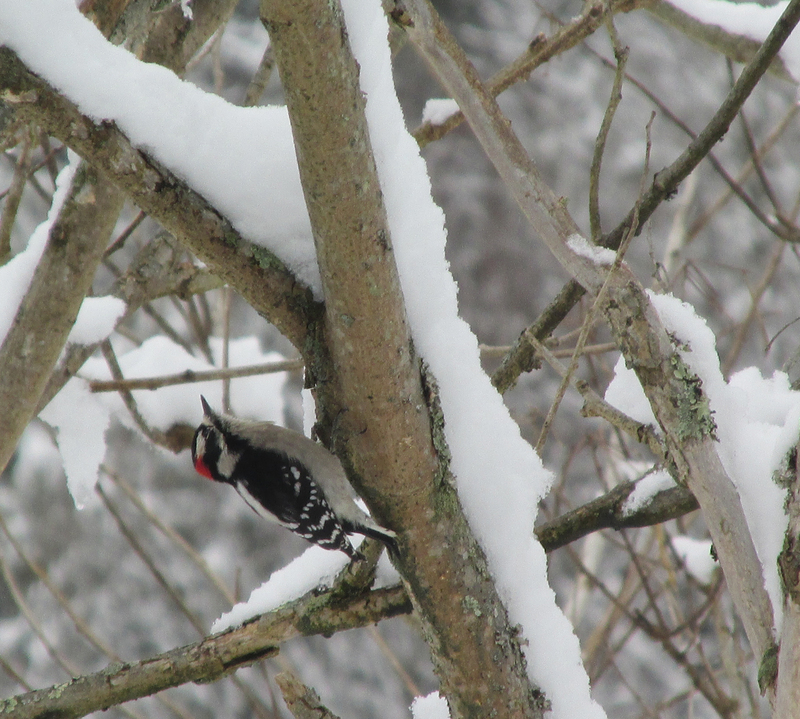 The 73rd consecutive Elizabethton Christmas Bird Count was held on Saturday, Dec. 19, with 24 observers in six parties plus one feeder watcher. 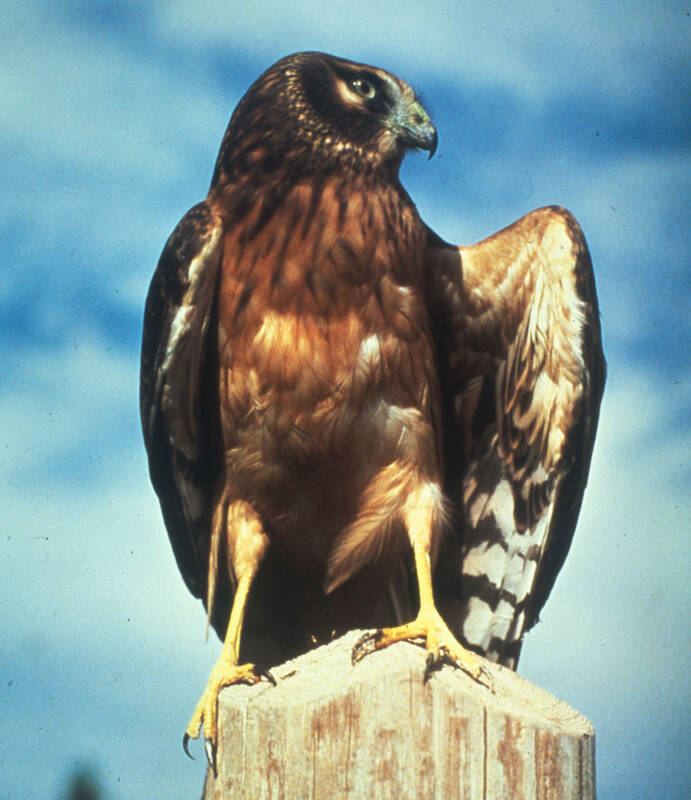 A total of 73 species was tallied, with an additional four count-week species. This is slightly above the recent 30-year average of 71.7 species. 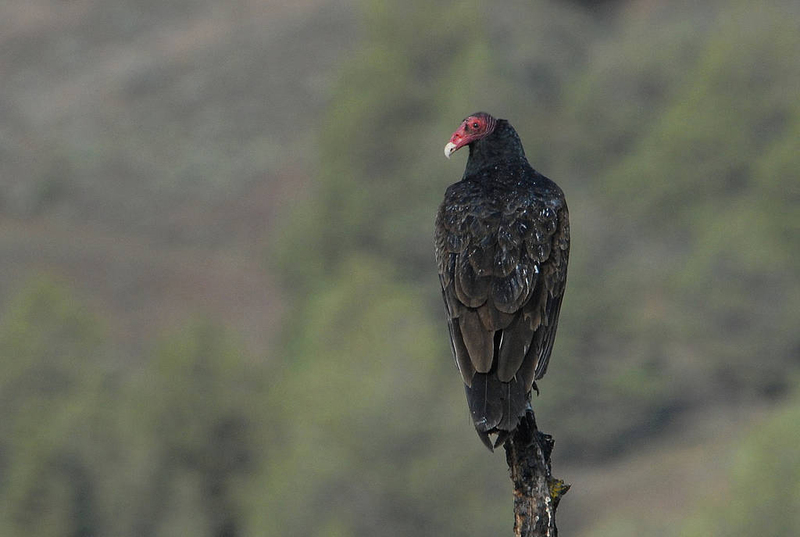 The all-time high for this CBC was 80 species in 2012. Long-time count compiler Rick Knight noted that some of the highlights from this year’s Elizabethton CBC included: five Blue-winged Teal, which represented only the fourth time this duck has been found for this count, as well as Northern Shoveler and Greater Scaup. 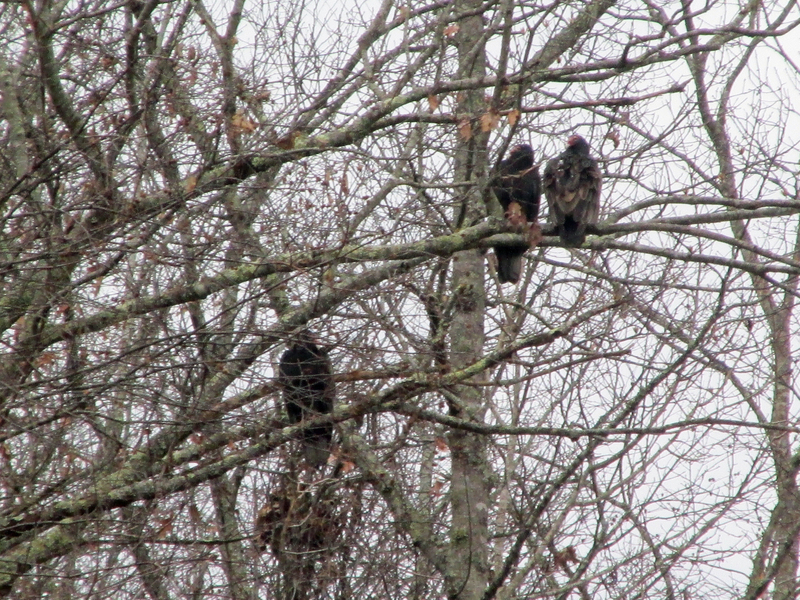 Bald Eagle was represented by five individual birds on the recent CBC conducted by members of the Elizabethton Bird Club. Other highlights included Bald Eagle, Eurasian Collared-Dove, Red-breasted Nuthatch, American Pipit and Palm Warbler. The 72 Chipping Sparrows found during the CBC represented the most individuals of this species ever tallied for this count. A few winter finches have also arrived in the area, based on the Purple Finch and Pine Siskins detected during the CBC. 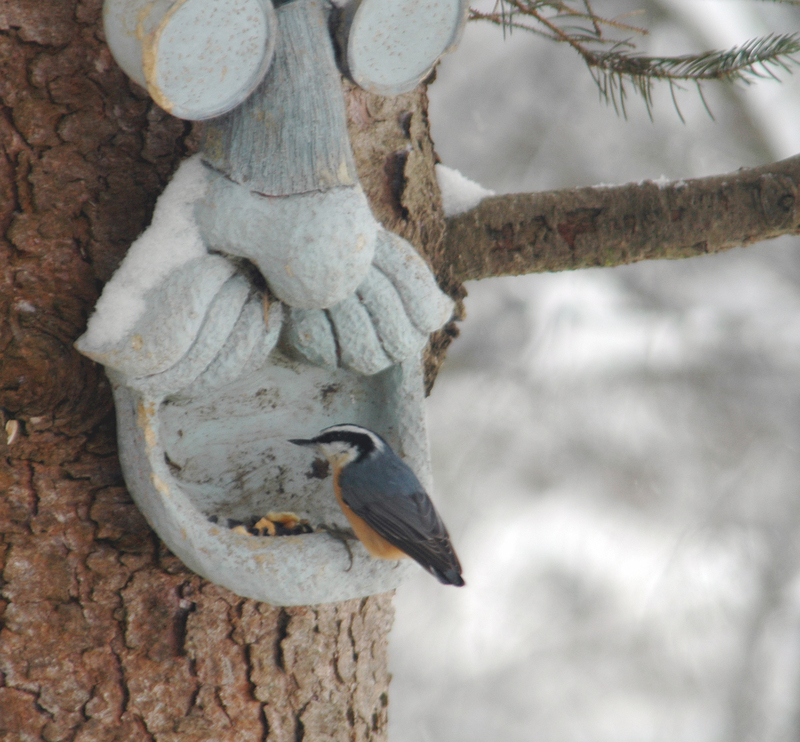 A single Red-breasted Nuthatch was found, assuring that this species made it onto the annual survey of bird populations in Elizabethton, Tennessee. The European Starling was the most common bird with a total of 1,707 individual starlings represented on the count. 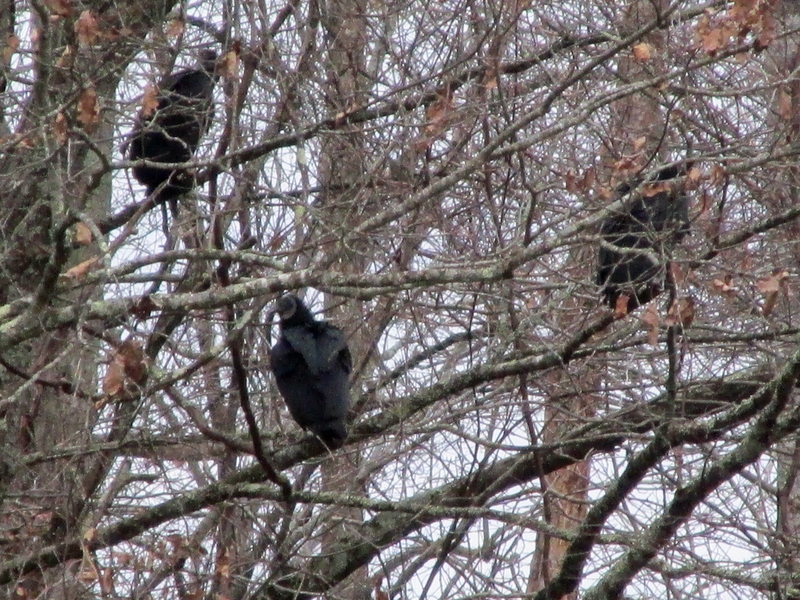 Other common birds included American Crow (987), Canada Goose (511) and American Robin (450). 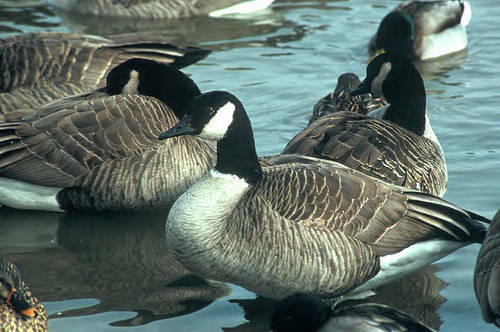 Canada Goose, 511; Mallard, 129; Blue-winged Teal, 5; Northern Shoveler, 12; Greater Scaup, 2; Lesser Scaup, 1; Bufflehead, 172; and Hooded Merganser, 10. Wild Turkey, 30; Pied-billed Grebe, 15; Horned Grebe, 10; and Great Blue Heron, 13. 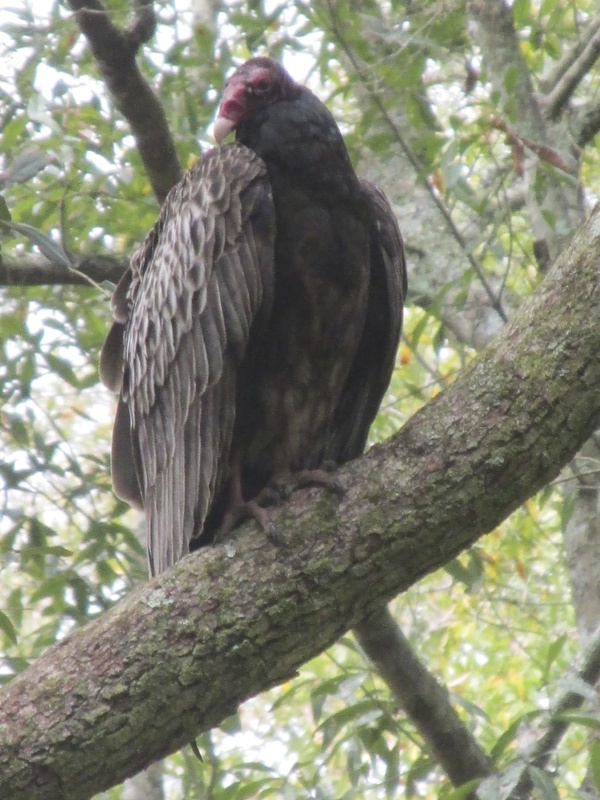 Black Vulture, 16; Turkey Vulture, 26; Sharp-shinned Hawk, 2; Cooper’s Hawk, 5; Bald Eagle, 5; Red-shouldered Hawk, 2; Red-tailed Hawk, 22; and American Kestrel, 18. 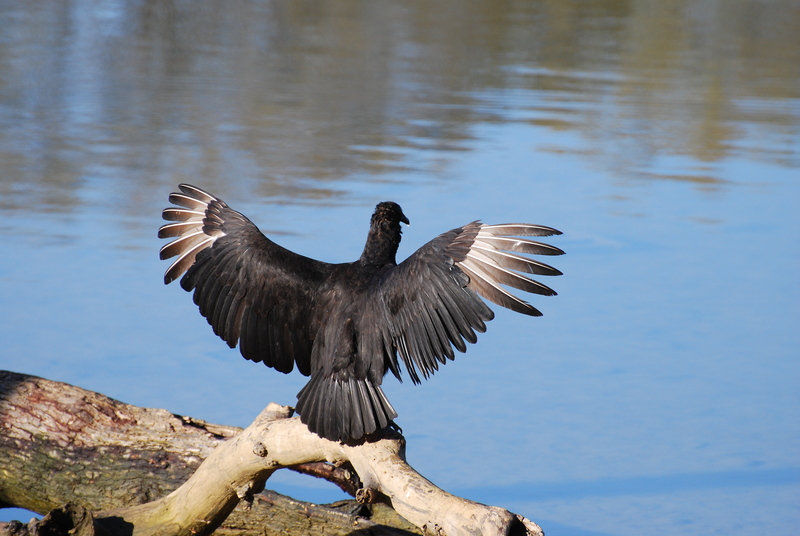 American Coot, 7; Killdeer, 5; Ring-billed Gull, 65; Rock Pigeon, 349; Eurasian Collared Dove, 7; and Mourning Dove, 114. Eastern Screech-Owl, 7; Great Horned Owl, 4; Barred Owl, 1; Belted Kingfisher, 13; Red-bellied Woodpecker, 27; Yellow-bellied Sapsucker, 7; Downy Woodpecker, 23; Hairy Woodpecker, 3; Northern Flicker, 11; and Pileated Woodpecker, 10. Eastern Phoebe, 7; Blue Jay, 76; American Crow, 987; Common Raven, 6; Carolina Chickadee, 111; and Tufted Titmouse, 110. Red-breasted Nuthatch, 1; White-breasted Nuthatch, 31; Brown Creeper, 2; Winter Wren, 3; and Carolina Wren, 60. 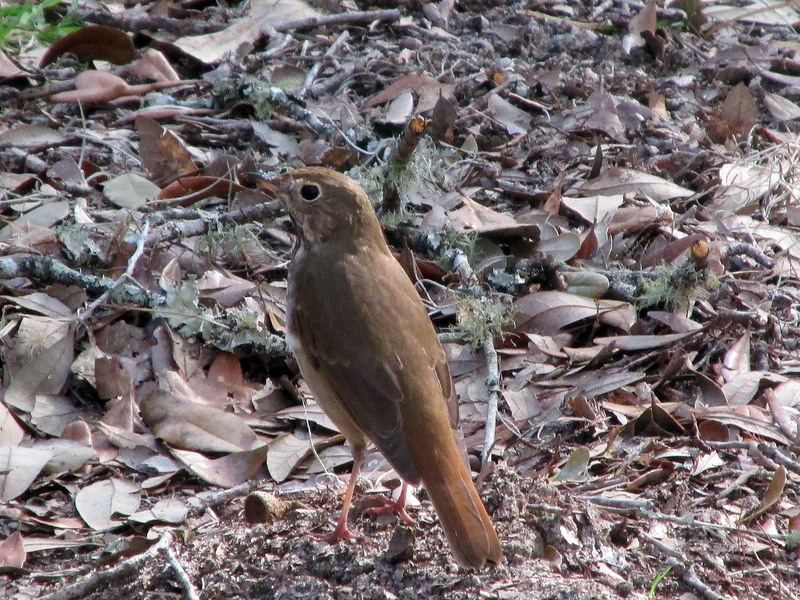 Five Hermit Thrushes were among the many species found during the Elizabethton CBC. Golden-crowned Kinglet, 32; Ruby-crowned Kinglet, 2; Eastern Bluebird, 114; Hermit Thrush, 5; American Robin, 450; and Northern Mockingbird, 27. 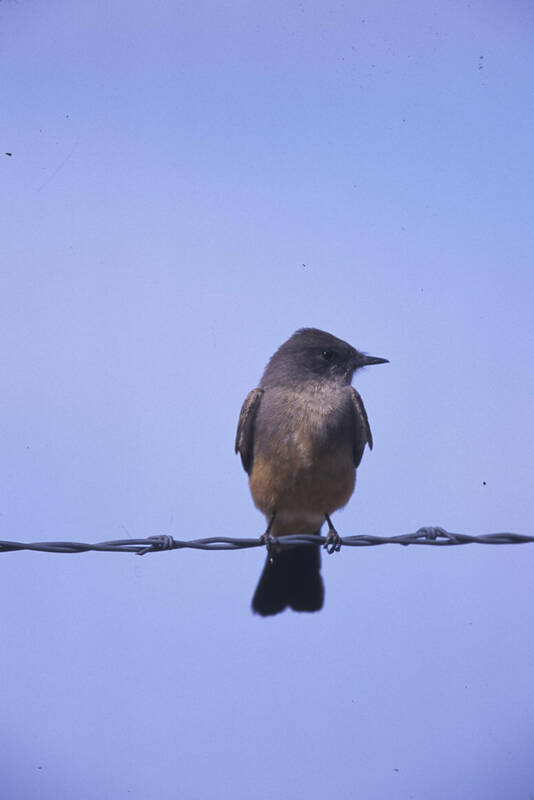 European Starling, 1,707; American Pipit, 40; Cedar Waxwing, 116; Palm Warbler, 3; and Yellow-rumped Warbler, 106. Eastern Towhee, 12; Chipping Sparrow, 72; Field Sparrow, 31; Fox Sparrow, 3; Song Sparrow, 104; Swamp Sparrow, 104; White-throated Sparrow, 78; and Dark-eyed Junco, 74. Northern Cardinal, 123; Eastern Meadowlark, 4; House Finch, 51; Purple Finch, 1; Pine Siskin, 25; American Goldfinch, 101; and House Sparrow, 41. 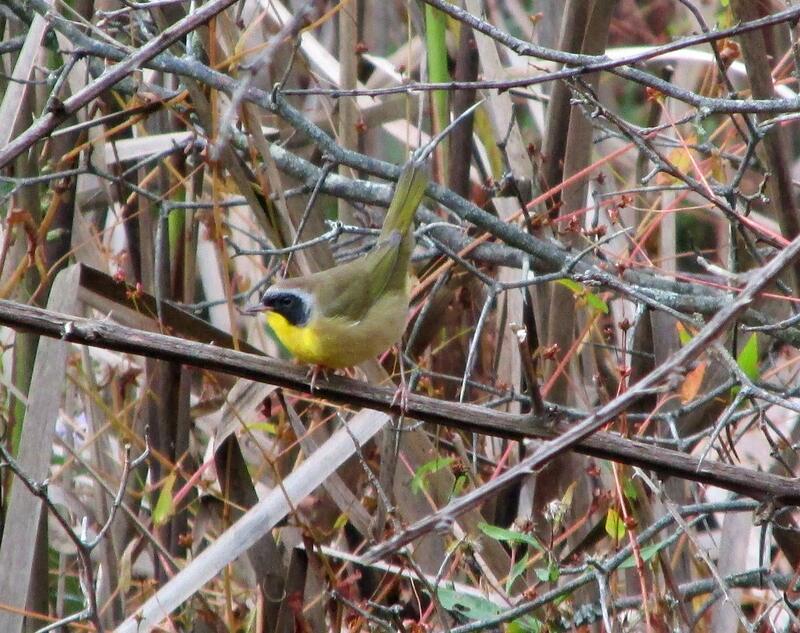 A Common Yellowthroat is a rare bird in Northeast Tennessee during the winter months. It was strange to walk outside in short sleeves this past Christmas. 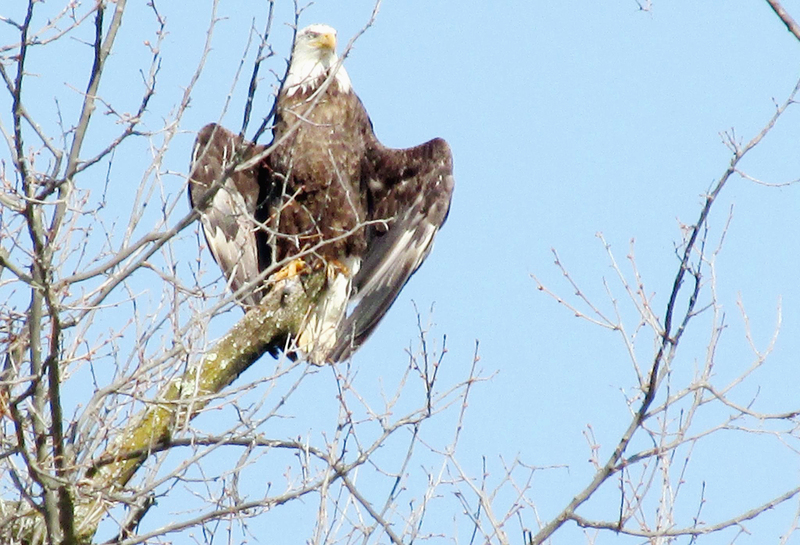 This weird winter weather has also led to some unexpected bird sightings. I saw my first-ever winter warbler (other than Yellow-rumped Warbler) at home ton Dec. 30. The warbler was a male Common Yellowthroat lurking in the cattails near the fish pond. Several years ago, I found a female Common Yellowthroat at Wilbur Lake on a Christmas Bird Count. In addition to the yellowthroat, I found a Swamp Sparrow in the cattails. I also had a flock of Dark-eyed Juncos (as opposed to just one bird) in the backyard that same day. I am pleased to find that the winter birds are gradually arriving. Now that it looks like more typical winter temperatures might prevail for awhile, I expect activity to increase at my feeders. 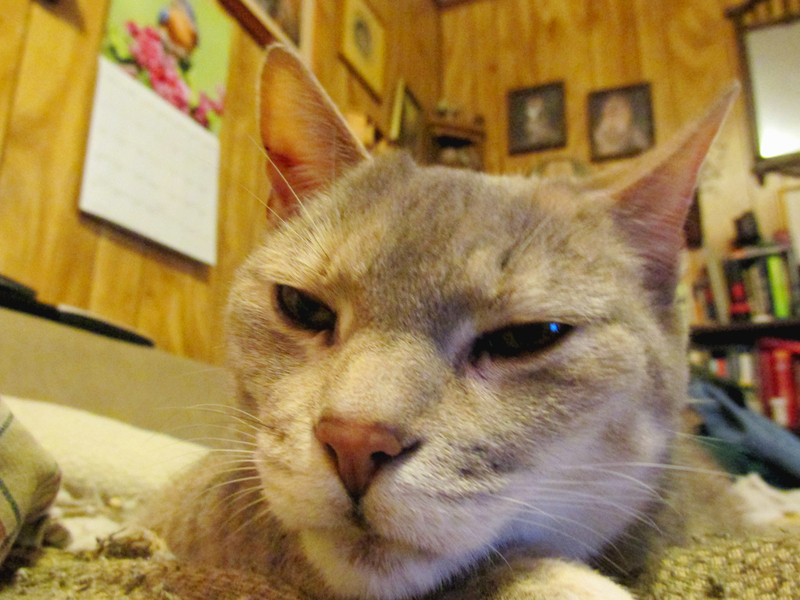 This week’s post is dedicated to Sassy, a one-of-a-kind cat that shared my life from the summer of 2002 until Dec. 26, 2015. This entry was posted in Birding, Birds, Bryan Stevens Feathered Friends, Carter County Compass, Christmas Bird Count, Elizabethton Star, Erwin Record, Our Fine Feathered Friends, Tennessee and tagged Birding, birds, Bristol Herald Courier, Carter County Compass, Christmas Bird Count, Elizabethton Star, Erwin Record, Feathered Friends, McDowell News, Our Fine Feathered Friends, Songbirds, The Erwin Record, Winter birds on January 3, 2016 by Bryan Stevens.